Welcome to another great year of music-making at CPS! 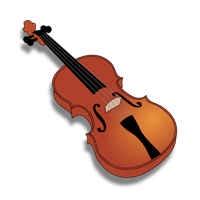 CPS third graders have a wonderful opportunity to start violin, viola or cello this year, in weekly group classes. These classes are a great chance to try out a stringed instrument and learn beginning skills which will allow them to continue on in middle school ensembles. Third graders will participate in the March Chamber Concert, as well as the Spring Concert. Our 4th through 8th grade strings meet regularly in ensembles and lesson groups. They enjoy playing a wide variety of music as they develop their musical skills. These grades perform in the Winter Concert (this year on December 18) and the Spring Concert, with the option of performing on the March Chamber Concert. Keep your eye on this website for practice tips, student assignments, school concert info, community events, and music video links. My hope is that string students and their parents will enjoy checking in to this site. The music and ideas shared here are just a taste of what is available online and in our community. If you find practicing is a bit of a struggle, try listening to something beautiful! It might just get you INSPIRED! !